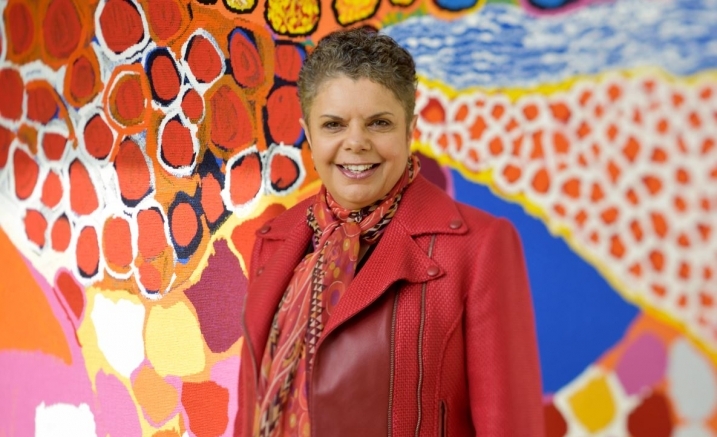 Now in its 3rd year, the Merlyn Myer Music Commission has been awarded to Yorta Yorta composer and soprano Deborah Cheetham AO. Deborah’s new work responds to the magnificent Dulka Warngiid tapestry displayed at the Centre and is part of her new suite Woven Song. With Syzygy Ensemble experience this and other works of female composers exploring themes of identity, language and landscape. The Merlyn Myer Music Commission is supported by The Aranday Foundation and The Yulgilbar Foundation.